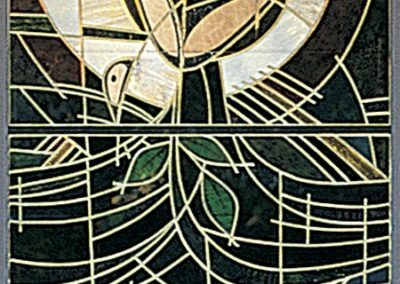 To provide a set of five 5’ x 6’ windows that represent the theme “the Flow of God’s Spirit” for River Terrace Church, East Lansing, Michigan. 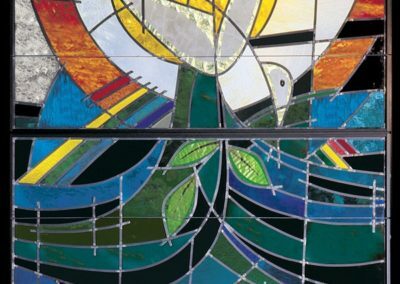 The design of these contemporary windows echoes the flow of the river, symbolizing life and renewal, depicted across the span of the windows. 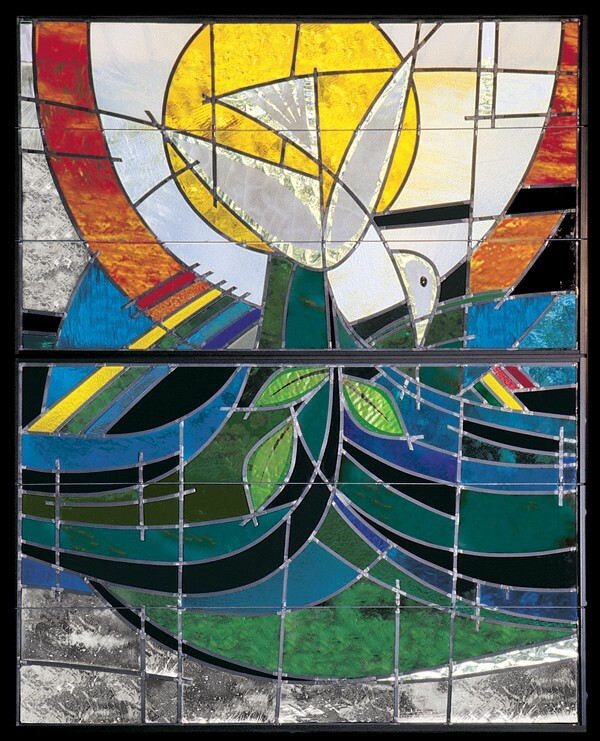 In the central window is the dove of the Holy Spirit, holding the biblical olive branch, surrounded by the sun, moon and a rainbow. 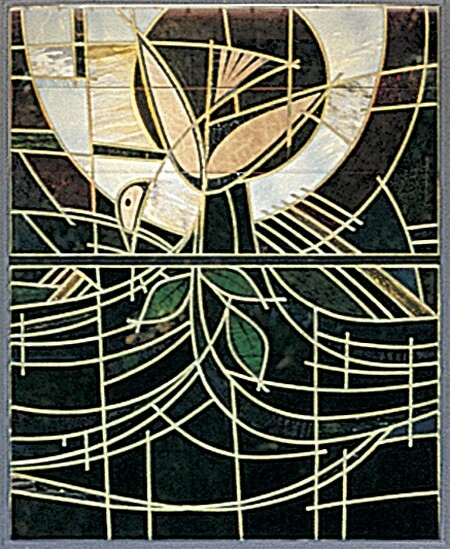 Stylized stars are woven throughout the windows, with tabs of lead creating the impression of falling rain. The use of clear glass within the windows allows for greater transmission of light into the church. On the outside, the application of gold leaf on the lead lines brings the design to life on the exterior facade of the building.